Summer Goals: Sip Naked. Save Turtles. SUMMER GOALS: SIP NAKED, SAVE TURTLES. EVERY BOTTLE SAVES A TURTLE! 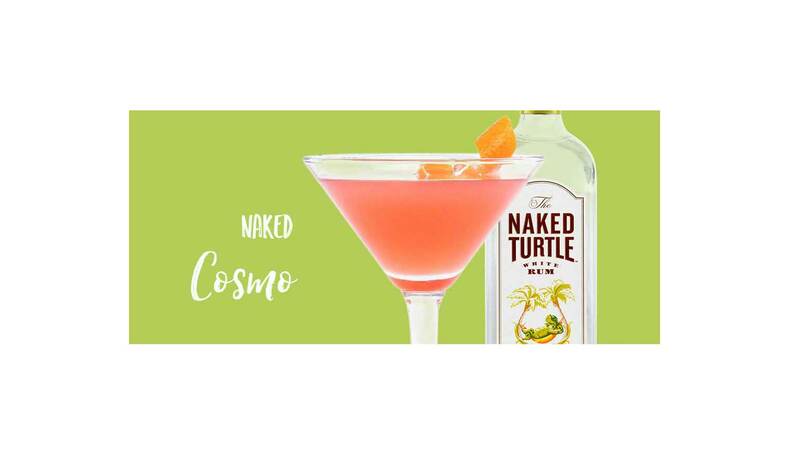 NORWALK, Conn (June 16, 2017) – The Naked Turtle White Rum is making a splash today, World Sea Turtle Day, with the announcement of its ‘Every Bottle Saves a Turtle’ initiative. 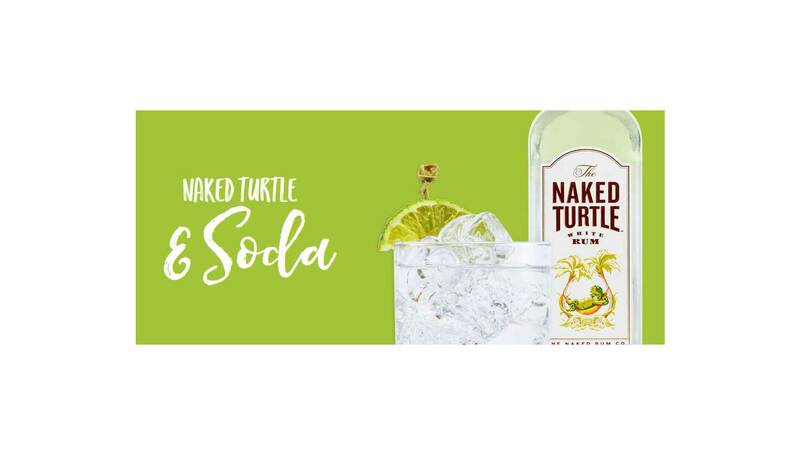 Stepping up its efforts with long-term partner The Sea Turtle Conservancy (STC), The Naked Turtle White Rum will now donate a portion of its proceeds from each bottle made to the STC to help save baby sea turtles. It is estimated that only one out of every 1,000 sea turtle hatchlings actually survives into adulthood*, and The Naked Turtle wants to help out everyone’s favorite flippered friends and improve that stat starting this summer. 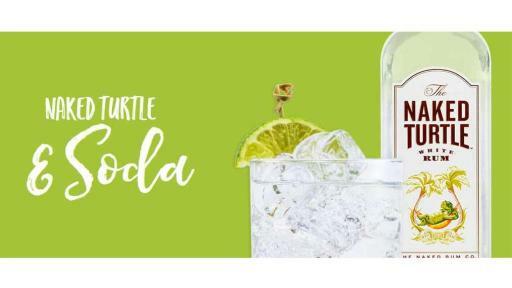 The ‘Every Bottle Saves a Turtle’ program is as simple as it sounds: for every bottle of the gluten-free, preservative-free, five-times distilled rum made, The Naked Turtle will make a donation to the STC to save a baby sea turtle hatchling. Helping out the cause is as easy as picking up a bottle for some fun in the sun this summer. ‘Every Bottle Saves a Turtle’ launches today in conjunction with World Sea Turtle Day – an annual day to celebrate and raise awareness for sea turtles and their endangered or threatened status. The date for World Sea Turtle Day (June 16th) is also the birthday of the late Dr. Archie Carr – who served as the first scientific director of the STC – and was chosen to honor his life’s work. Much of what is known about sea turtles today is due to his research and efforts, and he is also credited by many for first bringing international attention to the dangers these marine animals face. As if adult rum lovers needed another reason to join the cause: The Naked Turtle White Rum is one you can really feel good about enjoying. 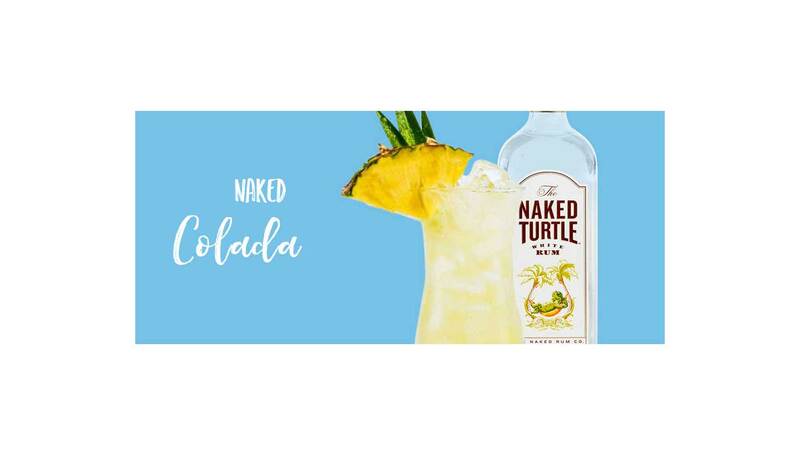 It’s crafted with quality sugarcane molasses and the pristine waters of the U.S. Virgin Islands, and this turtle truly is naked: unlike most white rums, The Naked Turtle never touches the inside of an oak barrel, giving it a noticeably smooth finish. It should be enjoyed the same way baby sea turtles should be looked after: responsibly. So, why should anyone care? Sea turtles are an indicator species, which means that when they’re doing swimmingly, it’s likely that most marine life is as well. 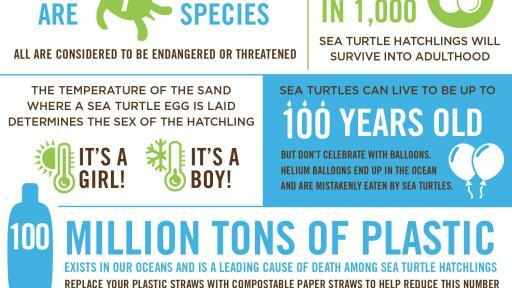 That’s why Naked Turtle wants to help the STC make every beach naked. (No, not that kind of naked.) Beaches stripped of litter and debris make it easier for nesting sea turtles to lay their eggs and hatchlings to make it safely to the ocean. Throughout the summer, The Naked Turtle will be coordinating several beach cleanups to help coastlines shed some of that litter, so stay tuned for more news this season on how you can join in. 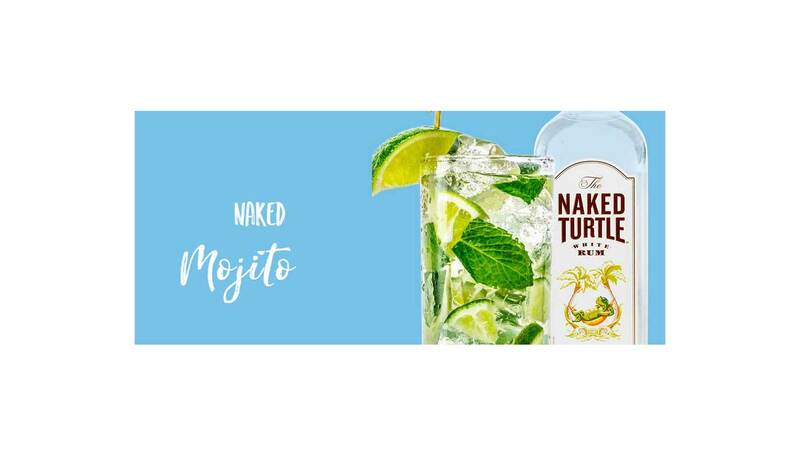 Help spread the word on Instagram and Facebook by sharing your ‘shell-fies’ with The Naked Turtle Rum and using #SipNakedSaveTurtles with @NakedTurtleRum. It’s turtley up to you to be safe this summer, so make sure you sip responsibly. The Naked Turtle White Rum can currently be found statewide in FL, NC, SC, HI, TX, LA, MA, RI, MD, DE, NJ, NY, DC and in CT beginning summer 2017! For more detailed locations, check out the ‘Where to Buy’ feature on NakedTurtle.com. The Naked Turtle White Rum is distilled five times with quality sugarcane molasses and the pristine waters from the U.S. Virgin Islands. It is then bottled “Naked” which means it never touches the inside of an oak barrel for a crystal clear finish and bright, delicious taste. 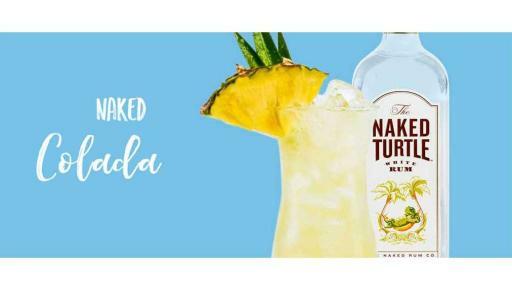 The Naked Turtle Rum is gluten-free, preservative-free, and award-winning. Since its start in 2012, The Naked Turtle has been a proud partner of the Sea Turtle Conservancy to aid sea turtle conservation efforts around the world. Now, for every bottle of The Naked Turtle White Rum 750mL, 1.0L, & 1.75L sizes made, a donation is made to the STC to save a baby sea turtle. Keep up with The Naked Turtle White Rum on Instagram (@NakedTurtleRum) and on Facebook (www.facebook.com/NakedTurtle) and learn more at www.NakedTurtle.com. The Sea Turtle Conservancy is the oldest and most accomplished sea turtle organization in the world. Based in Gainesville, FL, the STC was founded in 1959 by Joshua B. Powers in response to renowned ecologist Dr. Archie Carr’s award-winning book, The Windward Road, which first alerted the world to the plight of sea turtles. Since its founding, the STC’s research and conservation initiatives have been instrumental in saving the Caribbean green turtle from immediate extinction, as well as raising awareness and protection for sea turtles across the globe with nearly 50 years of experience in national and international sea turtle conservation, research and educational endeavors. The organization began its work in Costa Rica, but has expanded its research and conservation efforts throughout Central America and the Wider Caribbean. Diageo is a global leader in beverage alcohol with an outstanding collection of brands including Johnnie Walker, Crown Royal, Bulleit and Buchanan’s whiskies, Smirnoff, Cîroc and Ketel One vodkas, Captain Morgan, Baileys, Don Julio, Tanqueray and Guinness. 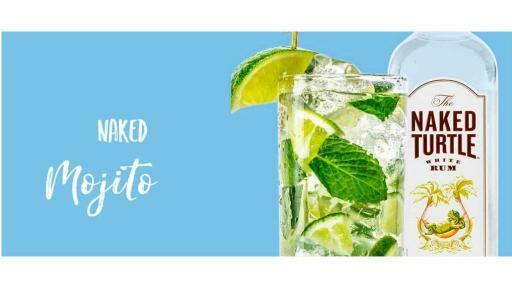 Diageo is listed on both the New York Stock Exchange (DEO) and the London Stock Exchange (DGE) and its products are sold in more than 180 countries around the world. For more information about Diageo, its people, its brands, and performance, visit www.diageo.com. Visit Diageo’s global responsible drinking resource, www.DRINKiQ.com, for information, initiatives, and ways to share best practice. Follow @Diageo_NA on Twitter for news and information about Diageo North America.